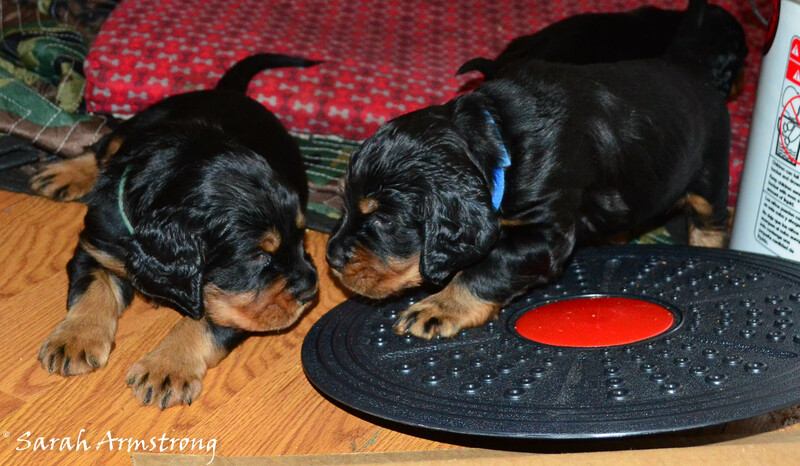 Please thank our Guest Blogger – Sarah Armstrong MI for her contribution today with a link to information and comments about her experience with Early Neurological Stimulation for puppies. 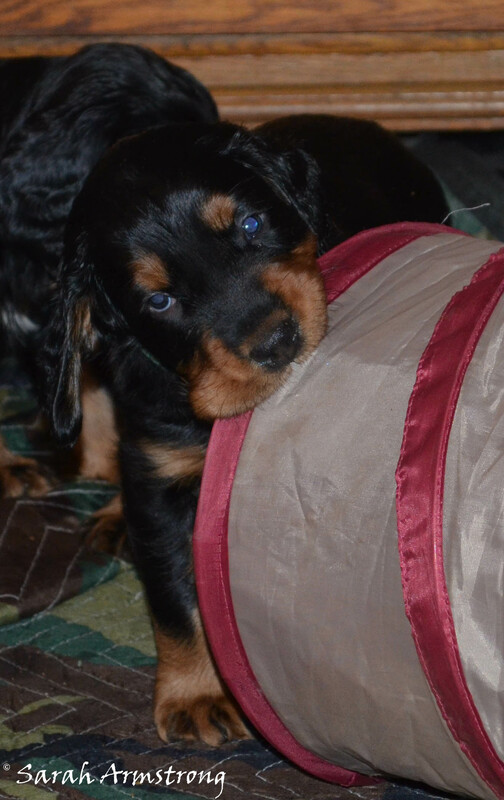 I learned about the bio-sensory stimulation after my first litter. I’ve experimented with it, doing it on one litter and not on another. What I have found is that it DOES work! It makes the puppies better able to handle stressful situations and to make a quicker recovery when they get scared or startled. in Chicago with fellow Gordonites for a weekend before continuing his journey back home to me. He was maybe 4.5 months at this point. In Chicago he strutted down the sidewalks like he owned them. The people, the cars, the noise, nothing phased him. Maybe he would have reacted that way had I not done the stimulation, but I would rather help them from wet to the time they leave become the best companions they can be! This will always be my protocol with puppies! The link to the article and method followed will open on a new page by clicking the title: Developing High Achievers by Dr. Carmen Battaglia orginally published as “Early Neurological Stimulation”. 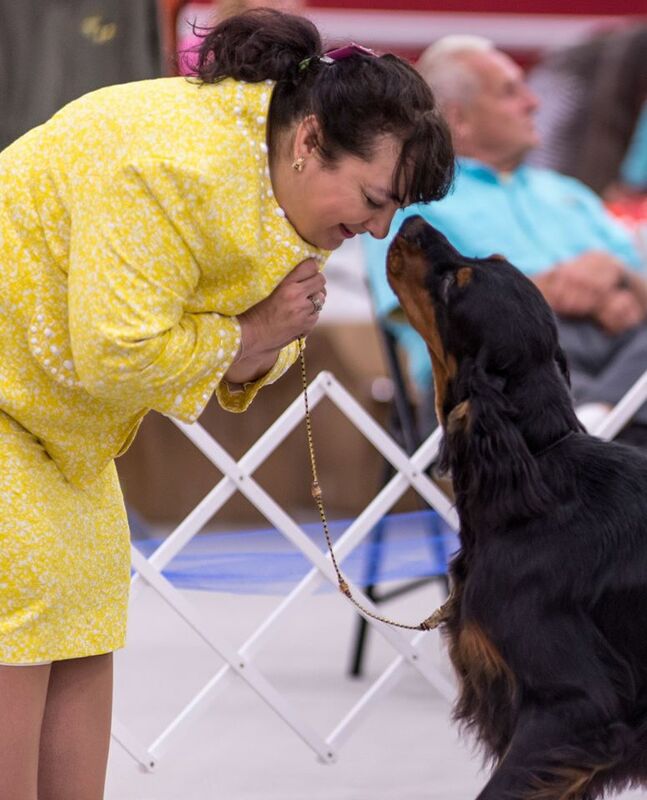 Previous PostPopulation Analysis of the Gordon Setter – Genetic status of purebred dogs in the UKNext PostField Help!